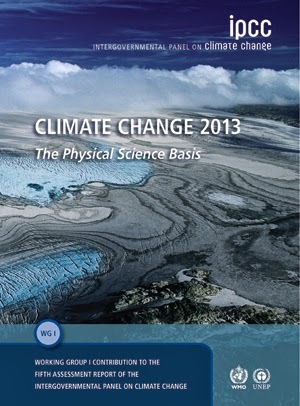 From the blue side: Last IPCC Report. What we certainly know about climate change. Fig 1. (a) Annual and (b) decadal average surface temperature anomaly. 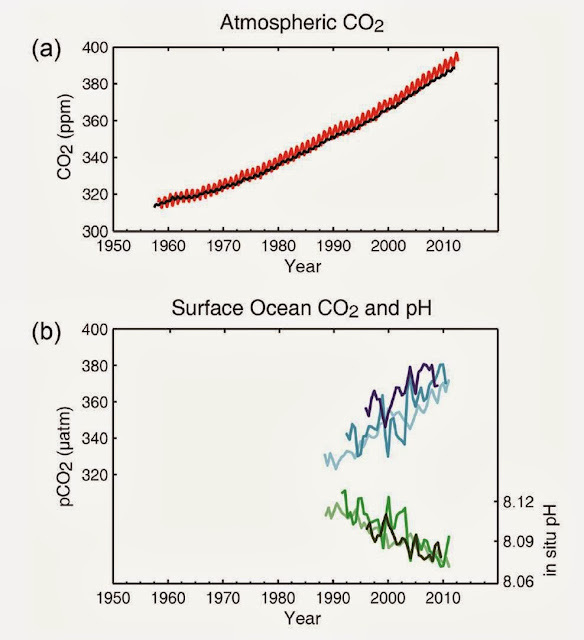 Carbon and other biogeochemical cycles: The atmospheric concentrations of the greenhouse gases carbon dioxide (CO2), methane (CH4), and nitrous oxide (N2O) have all increased since 1750 DuE To HuMAn ACTiViTY, reaching levels unprecedented in at least the last 800,000 years. CO2 concentrations have increased by 40% since pre-industrial times, primarily from fossil fuel emissions and secondarily from net land use change emissions. -Here, some numbers that perhaps will surprise you: From 1750 to 2011, CO2 emissions from fossil fuel combustion and cement production have released 365 [335 to 395] GtC to the atmosphere, while deforestation and other land use change are estimated to have released 180 [100 to 260] GtC. Thus, the 'secondary role' of deforestation and other land use is not negligible.- The ocean has absorbed about 30% of the emitted anthropogenic carbon dioxide, causing ocean acidification. Fig. 2. (a) Atmospheric concentrations of carbon dioxide (CO2) from Mauna Loa (19°32′N, 155°34′W – red) (I told you more about this time-series here) and South Pole (89°59′S, 24°48′W – black) since 1958; (b) partial pressure of dissolved CO2 at the ocean surface (blue curves) and in situ pH (green curves), a measure of the acidity of ocean water (click here for more information about ocean acification). Measurements are from three stations from the Atlantic (29°10′N, 15°30′W – dark blue/dark green; 31°40′N, 64°10′W – blue/green) and the Pacific Oceans (22°45′N, 158°00′W − light blue/light green). 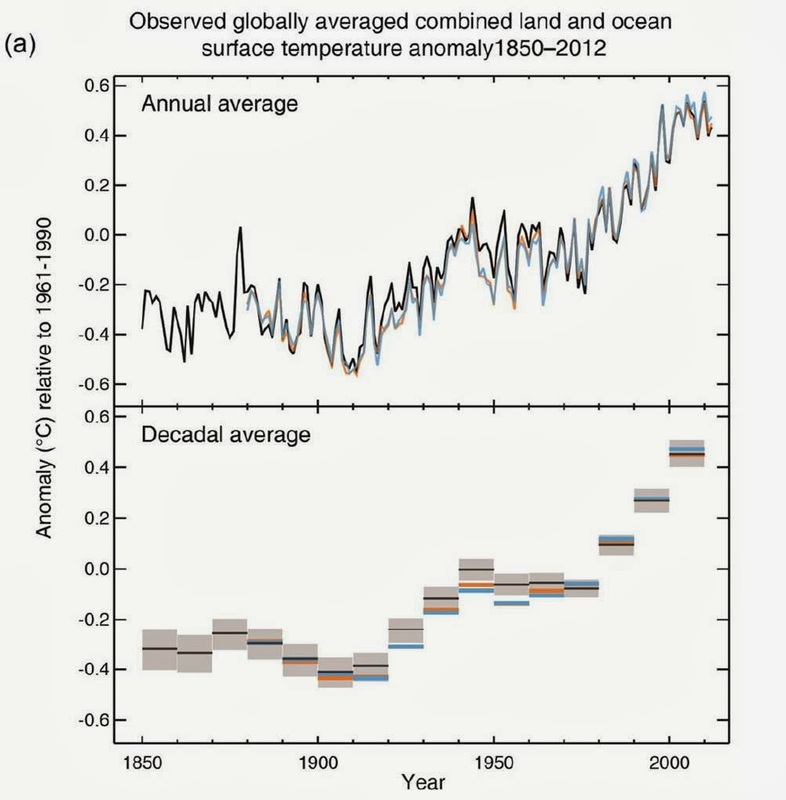 Source: IPCC report. Drivers of climate change. Almost all of the energy which affects Earth's weather is received as radiant energy from the Sun. The planet and its atmosphere absorb and reflect some of the energy at different length waves, and the balance between absorbed and radiated energy determines the Earth’s average temperature. Natural and anthropogenic factors as the intensity of solar energy, reflectivity of clouds or gases, and absorption by various greenhouse gases alter the radiation balance, becoming a climate change driver. Why? Because any change in these factors (e.g. : increase of greenhouse gases concentration) result in a radiative forcing (e..: more energy is absorved, and so less energy leaves) causing a new balance to be reached. A positive forcing (more incoming energy) warms the system, while negative forcing (more outgoing energy) cools it. ‘HuMAn INFLuENCe on the climate system is CLeAR. 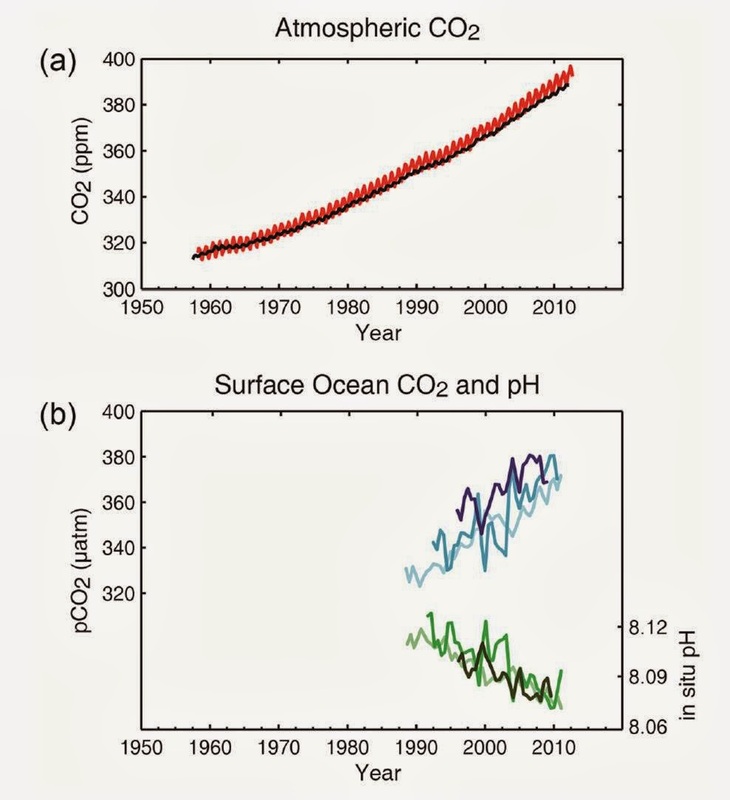 This is EViDeNT from the increasing greenhouse gas concentrations in the atmosphere, positive radiative forcing, observed warming, and understanding of the climate system’. And... one moment before you stop reading, although I haven't mentioned anything, the report also includes information about the changes that we can expect in our climate for the end of this century. I have preferred only focus in what we have observed until know because: first, I'm an observational oceanographer; and, second, you can read an excellent resume of that information in RealClimate. De nada. Gracias a tí por compartirlo. El resumen para 'policy makers' es bastante breve, pero te entiendo.